A plastic soda bottle is pretty simple, right? Most of us see them every day. Ranging in sizes from 8 ounces to 2 liters or more, the plastic bottle is something most of us take for granted. With a few small differences, most bottles look the same: a rounded bottom for stability, a central portion to store liquid, and a tapered neck that transitions to a threaded bottle cap. Here at Polymer Solutions, we like to celebrate innovation. We’re no strangers to trends in the food packaging industry; however, it isn’t everyday that we see something come out that really changes the way an industry understands a product. That’s precisely what Coca-Cola did with their new Fanta bottle. Polyethylene terephthalate (PET) was first polymerized by chemists at DuPont during the 1940’s and was quickly adopted for a range of industrial uses. First patented by Nathaniel Wyeth in 1973, the PET bottle hasn’t changed very much in 44 years. When PET replaced glass bottles, it was innovative. 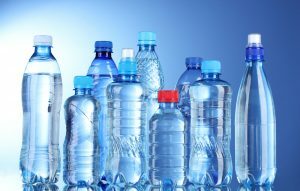 When it was discovered that PET could be used to produce a bottle that could withstand the force of carbonation while being lightweight, see-through and easy-to-produce, the advantages to industry made PET bottles a quick success. It’s crazy to think that the basic design of a lightweight, symmetrical bottle hasn’t changed much since it was first patented in 1973…until now. During Coca-Cola’s design of this Fanta bottle, the “concept of incorporating the ‘twist’ or ‘squeeze’” came up early on. A twist can’t be that difficult to manufacture, right? Well, that’s where this story becomes interesting. For Coca-Cola, any alteration in their manufacturing process means sweeping changes across multiple manufacturing lines. The tolerances, measurements, and required materials are agreed upon and then not changed unless necessary. So what is the reason behind this innovative bottle? It all comes down to innovation and, in this case, great science. The Fanta name, whose products first appeared in the 1940’s, has undergone a few bottle design changes in its 77 year long history. All those bottles–and PET bottles in general– have had one thing in common: they’re symmetrical. But that’s about to change! The drive for innovation is impressive. From a marketing perspective, the difference between selling the same product forever and continued innovation can truly be life or death for a brand. In order for Coca-Cola to continue to be not only one of the biggest names in soft drinks, but also known as an innovator, changes like this must happen from time-to-time. Alongside Coca-Cola’s design innovation, a marketing campaign was born as well. The “squeeze” concept is front-and-center, which is no surprise. If you create innovation in a product that’s been largely unchanged for decades, it’s cause for celebration! We think that passion for innovation says something great about Coca Cola’s creative product. If you simply create products for market and never innovate as a brand, eventually you see yourself falling behind. That’s a great lesson from Coca-Cola and something many businesses could take away from this story. 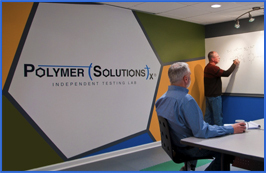 In our 30 year history here at Polymer Solutions, we’ve never forgotten to innovate. Whether that means continuing to expand our capabilities or pausing to reflect as we move forward, we’ll never forget to bend the rules and push forward every day. Yes of course! Bottle shaping change is good for business. Then we change flavor in liquid or more add tasty minerals. because we want our business is going higher at the market level then we always try new changes in the business. Previous Post: Why is Plastic Clear? Next Post: What is Hydrolysis?